Several newly published studies fault the design of "instant soup" products for thousands of annual hospital visits, many involving young children who spill the products on themselves. "It pulls down on top of them," Dr. Warren Garner, director of the burn unit at University of Southern California's County Hospital in Los Angeles, told NPR. "The hot liquid then burns their chest, arms, torso, sometimes their privates, occasionally their legs." A study published in 2007 claimed hot noodles from the product would cling to the skin, potentially causing more severe burns. A new study looks at the design of Styrofoam soup cups and found a broader base and narrower top decreased the risk of spillage (and therefore burns). 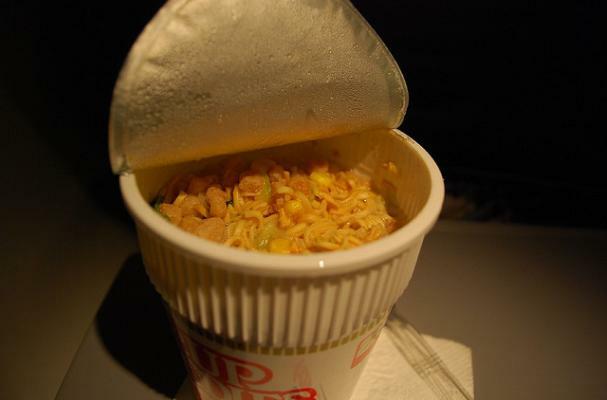 Cup Noodles by Nissin is one of the most popular brands of soup (25 billion sold and counting). It currently spills at just 22 degrees. Scientists claim an inverted cup design (think Yoplait yogurt design) would decrease hospital visits substantially.